PHP developers will get new goodies for building mobile apps with the latest release of Zend Technologies' integrated development environment, Zend Studio 12, which was unveiled last week at the ZendCon conference in San Francisco. The company also unveiled a beta of Zend Server 8, which becomes generally available on open systems platforms next month. Zend Studio 12 brings a mess of new capabilities for building Web applications that are housed on servers and features user interfaces for mobile devices like smartphones and tablets. Chief among them are support for three open source frameworks for building mobile Web apps, including Apache Cordova (i.e. PhoneGap), Ionic, and AngularJS. Zend is also now supporting its Z-Ray code inspection facility with Studio. Z-Ray, which was introduced earlier this yea with the introduction of Zend Server version 7, is designed to provide "unprecedented" visibility to what's going on inside of applications in real time. Studio 12 also brings support for PHP 5.6, Amazon Web Services (AWS), and the Eclipse 4 Luna development platform, which supports Java 8. IBM i shops will be happy to see updates to the XMLService Toolkit, a built-in library for that helps developers extend PHP code to IBM i resources, including making RPG and COBOL program calls, accessing DB2/400 and data queues, utilizing native system APIs, and accessing spool files. The toolkit, which Zend initially introduced back in 2012, is part of the Zend Server for IBM i product. In other news, the Cupertino, California, company used the conference to unveil a new release of the Zend Server runtime with Zend Server 8. Chief among the new features in Zend Server 8 is Z-Ray Live, which the company says broadens the scope of Z-Ray to include debugging of mobile and web services APIs. Z-Ray has also been bolstered to provide real-time visibility to PHP's inner-workings within several common applications and frameworks, including IBM i, Magento, WordPress, Drupal, ZendFramework, and Symfony. Zend Server 8, which becomes available in December, also brings support for running Linux on Power8, in addition to running on X86 servers with Windows, Linux, and Mac OS. You can expect to see support IBM i on Power 8 when Zend Server 8 ships at a later date. Zend Studio 12 pricing starts at $189 for new users. It's $29 for students and free to teachers, classrooms, and open source project developers. 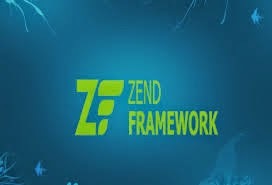 For more info see www.zend.com.